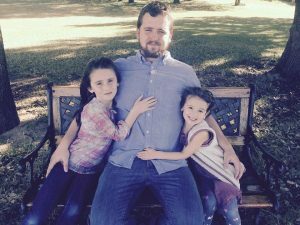 What happened to 26-year-old Daniel Shaver should frighten everyone concerned with the integrity of our criminal justice system. What happened to the former Mesa, Arizona police officer behind his death should frighten us even more. The confrontation police had with Shaver, after responding to calls of a gun poking out of a hotel window, according to USA Today, was essentially sadistic torture that ended in murder. Contrary to what one may say, there is no debate to this. Everything was captured on a police body cam, which was just released, shows the death of Shaver with indisputable picture and audio. It was little more than a police made snuff film, and yet…here we are. Even with this body of evidence, an Arizona jury recently chose to acquit the officer responsible for Shaver’s death. 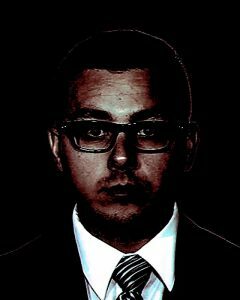 Officer Philip Brailsford, an Arizona officer since 2005, shot Shaver five times, ultimately killing him. The shooting occurred after police were called to a Mesa La Quinta Inn & Suites in January of 2016 on a report of a person pointing a gun out a fifth-floor window. A couple in a hotel hot tub told staff they saw a silhouette with a gun pointed toward a nearby highway. As the New York Times noted, police determined Shaver was unarmed after he was shot. They did find a pellet gun in his hotel room, which Shaver used for his job as a pest-control worker. Despite all the evidence presented by his body cam, Vox reported that Brailsford walked away with not so much as a misdemeanor. This was nothing short of getting away with murder. Worse, this is only the latest example of a state agent wielding practically unlimited power. These are the details of that night. If you are not familiar, this is what happened: On Jan. 18, 2016, dispatch in Mesa, Ariz., received a call that a suspect was pointing a rifle out the window of a La Quinta Inn. As Vox and other sources reported, when the officers arrived on the scene, they had the occupants in the room – Shaver and an unidentified female whom he had reportedly met earlier that day – exit the room. The two police officers then confronted Shaver in the hallway. As AZ Central noted, The officers both said that Shaver failed to comply with their commands and Officer Brailsford ultimately shot him five times, killing him on the spot. What should be clear to everyone is that Daniel Shaver was murdered in cold-blood. The bodycam revealed a clear abuse of power driven by conflicting and ambiguous commands, which ultimately ended in his death. Once again, this simply cannot be denied. A similar tragedy that caught nationwide attention had a much different conclusion. Former South Carolina officer Michael Slager was charged and tried for the fatal shooting of Walter Scott shortly after he pulled the motorist over at a traffic stop. The incident was captured almost entirely on the officer’s dashcam, which showed Scott running away from Slager. Immediately, Slager opens fire, shooting Scott five times in his back. being shot in the back five times. This was a clear example of abuse at the hands of police. Justice was ultimately given to the Scott family, with Slager now serving a 20-year prison sentence, but even with the damning video, he too was acquitted his first time on trial. A jury cleared Officer Brailsford of all criminal charges at the beginning of the month. Brailsford testified in court that he was led to believe Shaver was reaching for a gun. No gun ended up being found on Shaver’s body. Two pellet rifles used in Shaver’s pest-control job were however later found in the hotel room according to NBC News.. Yet after only two days of deliberation, jurors found Brailsford not guilty of second-degree murder as well as of a lesser charge of reckless manslaughter. In this case as with many others, when an officer so much as claims he or she was afraid, they’re implicitly permitted to shoot. As the National Review has noted, juries tend to feel that legitimate fear equals proof of innocence. This is absolutely chilling to read, not only for the contradictions in the command, but for the seeming delight the officers had in abusing this man. Nonetheless, this is only a fraction of the ineffable fear that Shaver must have felt at the time. Officers Brailsford and Langley turned a benign encounter into what appeared to be a sadistic game. He begged police “please do not shoot me” and could be seen and heard crying. Everything about the situation showed that Shaver, a husband, and father of two only wanted to get out of that hallway alive. Shaver’s speech and movements were in no way threatening to the officers. Regardless, the officers responded to him with a delusional aggressiveness that in no way was proportionate to the risk they faced. This kind of police behavior cannot be tolerated in a society that values the social contract it holds with its citizens. 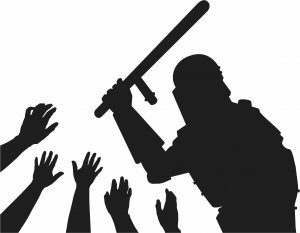 To undermine this social contract is to undermine the fundamental basis of why people should place any trust in state institutions, like law enforcement. Police have abused their power right here in Virginia too. That is also unacceptable. When three Virginia police officers put Linwood Lambert in a police car around 5 am in May 2013, they claimed they were taking him to the emergency room for medical attention because he was speaking erratically. Just over one hour later, Lambert died in police custody. It was found out that he never actually received medical care, though the officers of South Boston, Va. did apparently drive him to the hospital. He was not initially put under arrest, though the officers ultimately arrested him, shackled his hands and legs, and tased him multiple times. While in custody he grew agitated and ran from the officers. Ambulance workers say police later claimed he fought them at a time when videos show he was actually unconscious. Police dispute that account and deny allegations of excessive force. But as one officer tried to ease Geer through the standoff, another officer, Adam D. Torres, shot and killed Geer from 17 feet away, telling investigators that he saw Geer move his hands to his waist and thought he might be reaching for a weapon, according to newly released documents from the county. Some measures have been taken in the Commonwealth, with Fairfax County this past August launching an independent civilian review of alleged police misconduct, which was founded due in part to the Geer case. Right here in Richmond, Police Chief Alfred Durham told the Richmond Free Press that he will not tolerate police brutality. “I’m going to tell it like it is. If there is riff-raff in my department and you’re wearing a gun and a badge, you’re gone,” he said in a 2015 interview. That’s the thing though, this is not a “few bad apples” situation. The police can’t “fire” their way out of this, the problem has become institutionalized throughout the US. Forcing out an officer who does wrong gets rid of that officer, but that’s all it does. It does not change the culture of policing. Therefore, this is not a “personnel” problem, it’s a cultural problem and one that is endemic in our law enforcement institutions. If we want to prevent more Shavers, we need a paradigm shift in our criminal justice system. Reform, including a definitive Justice Department report on the town of Ferguson’s police corruption, and an initiative under Eric Holder (and later Loretta Lynch,) to have stricter oversight over local police departments. While not the perfect solution, it at least showed a willingness from the federal government to step in. Just this past September however, Jeff Sessions’ Justice Department announced it would roll back Obama-era efforts to investigate local police departments and issue public reports about their failings. Body cams have also been portrayed as the great savior of police misconduct and abuse. Introduced about three years ago, the Atlantic reported communities liked the idea that they would bring some transparency and accountability to an officer’s actions. Officers routinely leave them off at crucial moments though, such as with the tragic killing of an Australian woman a few months back. She called police over to report a possible crime. As she walked outside to meet them, she was shot and killed. Allegedly, a sound “spooked” the officer that fired. We’ll never know though, since the bodycams were off for the entirety of their time there. Unfortunately, even when used, it does not guarantee definitive footage in the eyes of a jury. And therein lies the rub. We trumpet reforms such as a stronger Justice Department, or body cams to help ensure these abuses will be stopped. And yet here I am still writing this article. The refusal to believe the police abuses that led to Shaver, Geer, and Lambert, among countless other cases, could be systemic rather than individual is a form of denial. When local government agents violate fundamental constitutional rights of citizens, Americans have been told they can look to the federal government to protect those rights. This is the foundation of “checks and balances,” of “law and order.” The authorities themselves seem to be bound by neither.